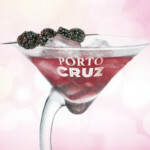 Last month, we debuted our PASSION FOR PORT tour: http://www.dolcetours.com/ep_port.htm. This tour includes 2 days in Oporto visiting the Port lodges, then 4 days upstream where the vineyards are -- as well as the new energy and investments. It's always a nail-biter to run a new tour. But this time, I can truly say I had a great time. For starters, I think we selected our wineries well (they included Grahams, Kopke, Taylor, Ramos Pinto, Quinta do Tedo, Passadouro, Quinta do Vesuvio, plus 3 of the 5 Douro Boys: Quinta Vallado, Niepoort, and Quinta Vale Dona Maria). Just as importantly, our hosts were uniformly generous with their time, passionate about their work, and willing and able to answer all questions, from basic to arcane. But above all, the Douro's scenery is breathtaking -- how the mountains fold and twist, how the terraces make patterns like hatchings on a Renaissance etching. The city of Oporto has its own charm as well, offering Baroque grace, a rich history, and hills that provide great city views at every turn. Truly, every Port lover should visit the region at least once, including the upstream areas, where all the action is. 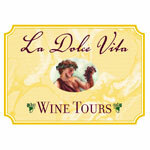 We'd love you to come with La Dolce Vita Wine Tours, naturally! But one way or other, a trip there should be on everyone's bucket list. I thoroughly enjoyed looking through your photos. Thanks for posting the link and sharing them with us. Great photos: it looks like an excellent time! Those houses in the third photo must be the most photographed in Oporto! I wonder what the owners think about it! Ha! That’s probably true. But if they really cared, they’d use laundry whitener.